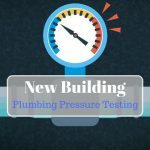 Swimming pool leaks and plumbing leaks can be an expensive disaster if not identified and fixed early on in the process. There are various different reasons why a pool leak is bound to happen, such as defects in the pool’s shell, recirculation, and filtration system damage or erroneous plumbing. There are two types of pools; those with concrete structure frames and prefabricated pools with GRP (glass reinforced plastic) or similar frames. Cracks in concrete frames are more common leading to water accumulation behind tiles or leakage within the ground. 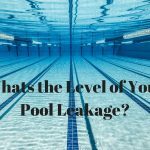 What are the Top Signs of a Swimming Pool Leak or Plumbing Leak? When assessing whether your pool has a leak, evaporation can often be mistaken for a swimming pool or plumbing leak. It’s also natural for your pool to lose some water to other causes such as splashing or backwashing of the filter. The key culprit that separates normal causes of water loss to a leak is if the water loss is constant, resulting in having to routinely refill the pool. 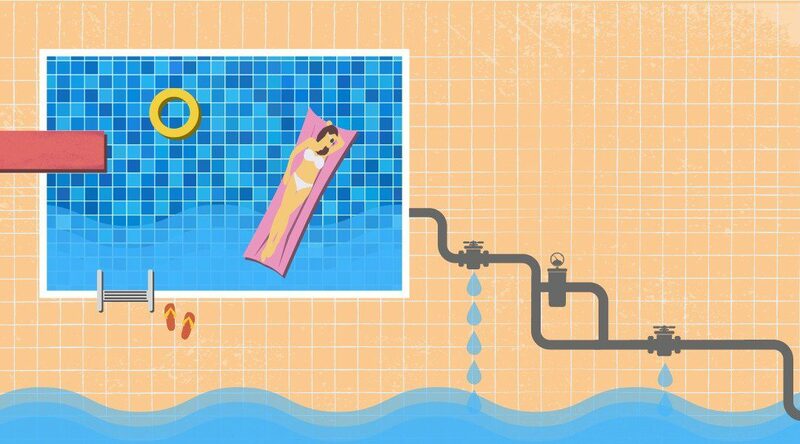 In order to ascertain whether there is a pool leak, look closely at the filter, pump, heater and pipe valves. 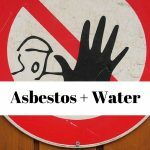 Also check the ground for moisture, as water leaks are likely to cause small-scale erosion through constant contact with the soil on which the pool stands. If you have a pool that is either prefabricated or custom built with a concrete structure, look for small holes or signs of staining around the fitting areas, lights, steps and corners, which could be a key indicator of a leak. OK, My Pool is Leaking! How do I Fix It? Start by turning off the filtration system and try to ascertain where the leak is by following the pool pipelines looking for water loss. Second, inspect your balance tank and see if the level drops with the pump system switched off. If the water stops at the bottom of the skimmer opening, the swimming pool leak is probably in the filtration system (pipes included). Third, where possible look at your tiles and see if you can spot any loss or deterioration in the pool surface. If the pump is running but the pool is still losing water, then chances are that the leak is on the return line side, in which case it will be wise to check the waste or backwash line for running water and try to stall it while you call an expert to assist further. For information on how to fix a swimming pool leak or plumbing leak, consult LeakDTech’s professionals.